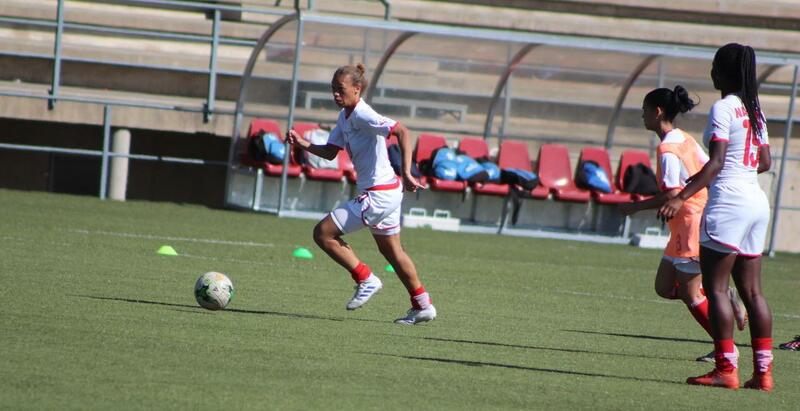 BRAVE Gladiators’ captain, Zenatha Coleman, said that she and the rest of the team will need to improve on their display tomorrow night when they face Botswana in their 2020 Tokyo Olympics Qualifier First Round Second leg match at the Sam Nujoma Stadium. Currently based in Spain, Coleman led the side for the first time on Friday in Gaborone when the Brave Gladiators lost 1-0 to trail ahead of the return leg in Windhoek tomorrow night and mentioned that massive improvement from the team will be the order of the day. “We will be at home and we will face a very tough side that knows that they have that important away goal. Therefore, we need to come and get our goal as well and be careful not to concede. We were not bad on Friday, they will have a plan too, and we need to be smart. We know them better after the first match and we will be much improved,” Coleman stated. Coleman said she will personally also raise her game. “I have to give more, yet again. I am doing this for my country and for my people and my teammates look up to me for inspiration so I have to deliver. I will surely give my all and with the armband it’s even more demanding, a demand that I fully take on and carry my team and country on my shoulders,” she said. The Brave Gladiators and Botswana will meet on Tuesday 18h30 at the Sam Nujoma Satdium. 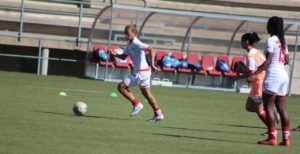 The winner over the two legs will face South Africa and Zambia or Zimbabwe will then await in the third round qualifying match for the 2020 Olympic Games.